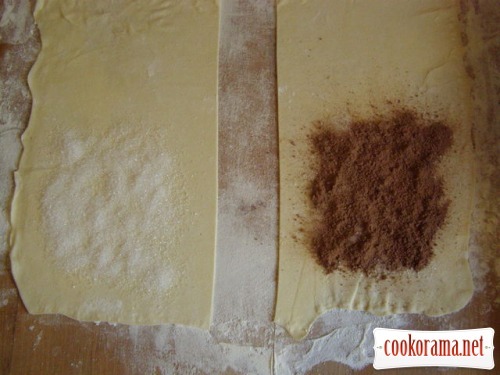 Chop margarine or butter with knife with sifted flour into crumbs. Mix egg with sugar, add milk and mix. Add to mass vinegar, salt. Pour to flour with butter ready mass and quickly knead dough. 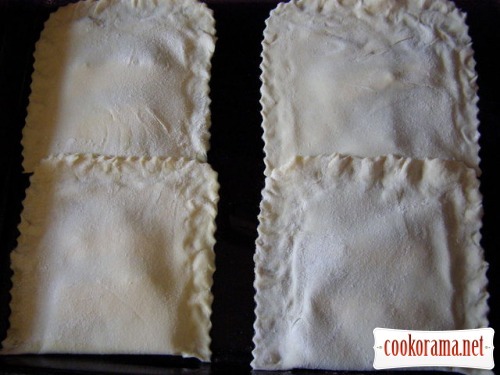 Cover with napkin or towel and put in the fridge for 2-3 h (or overnight). 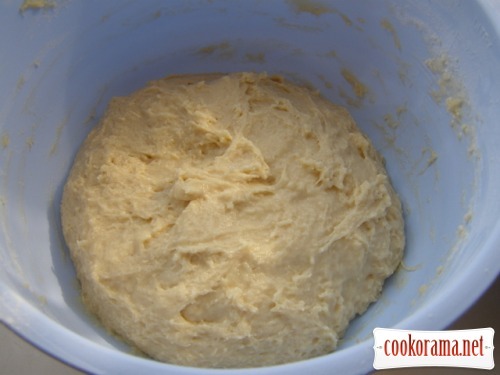 Divide dough in 4 parts. 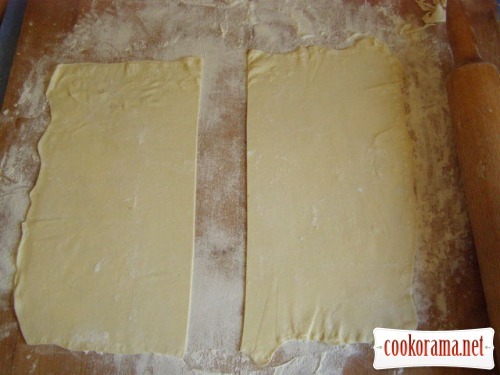 Roll part of dough and cut with knife in half. 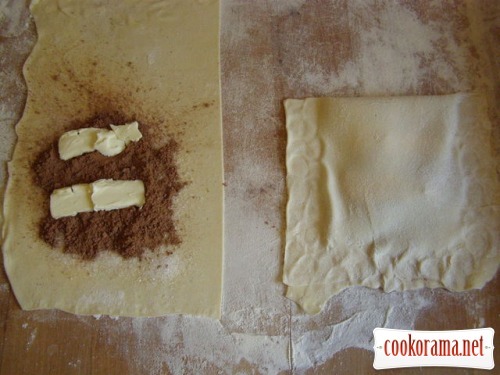 On 1 half spread 3 tsp of sugar, 1 -2 tsp of cocoa (to taste) and two pieces of butter. Mold as varenik and pinch edges well. Cut off edges, bending them. 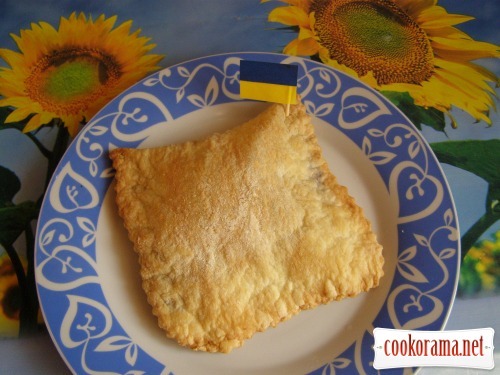 Grease baking sheet with margarine. Heat the oven. Put puffs only in heated oven. Bake at 180-200 ℃ for about 10-20 min. 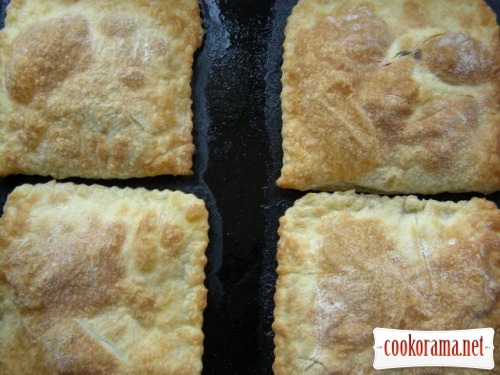 Serve baked puffs hot. 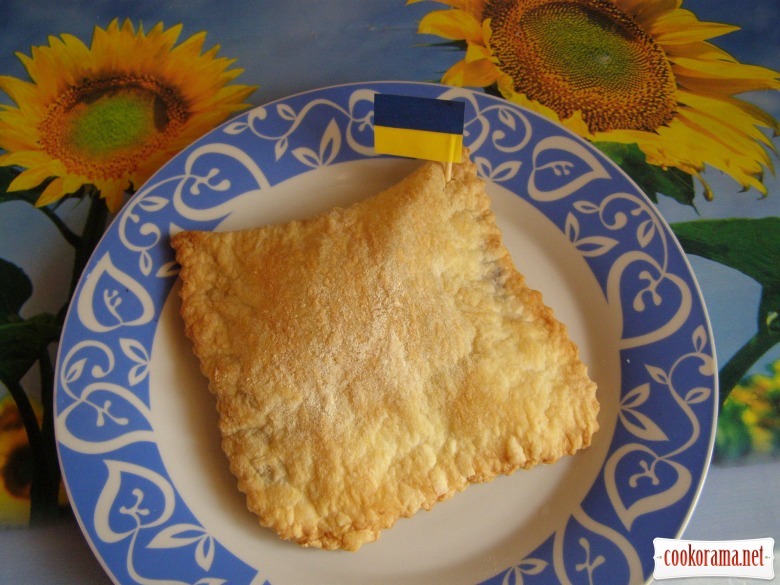 Top of recipe "Puffs with chocolate cream"
Які слоєчки гарні. Так б і з'їла одну.